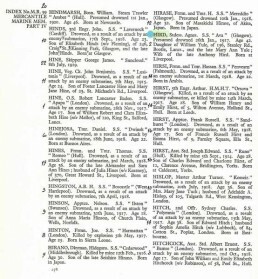 As a member of the Territorials (6th Liverpool’s) he was at once mobilised. He remained with his regiment till November, 1914, when he obtained his commission with the 8th Irish. 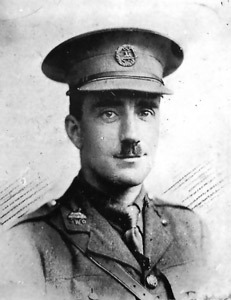 He went to France with them in July, 1915, and served continuously for over twelve months in the fighting in which that famous Battalion was engaged, being mentioned in Sir Douglas Haig’s despatch for work on the Somme in July and August, 1916. On August 8th he was taken prisoner at Guillemont. He escaped to Holland in February, 1918. After 3 months’ leave, he returned to duty but was struck down by first, pleurisy and, later, pneumonia, from which he died at home in Liverpool. At the time of his death William was about to be married to Miss Mildred Head. He was the only son of Mr & Mrs Armitage. 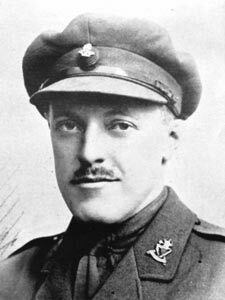 William was killed in action, his battalion were fighting in the battle of Vimy Ridge. Benjamin was killed while saving wounded comrades. he had already brought in three and was going for fourth when he was shot down. Agnes married her husband Anthony Hird, a butcher, in 1897 in Seaforth. In 1911, she was living in 28 Woodland Road, with her sons William and Anthony, and her daughter Dorothy. In 1917, just a few months after Agnes died, William, who was a Sergeant in the King’s Liverpool Regiment, was killed serving in France. She died when SS Ava went missing, later presumed to have been lost to enemy action. Florence was born in Waterloo in 1886, and was the second youngest of a family of seven children. She worked as a nurse at Mill Road hospital in Bootle. She died from acute pneumonia, which she contracted whilst on duty. Her funeral at St Luke’s church in Crosby was reported in the Crosby Herald. Her coffin was carried by a detachment of the South Wales Borderers and was draped in the Union Jack, hundreds of people were in attendance included many patients from the hospital. Frank was the son of Thomas and Annie Ormerod. His father was a police inspector with the Lancashire Constabulary and as a consequence the family moved home frequently. 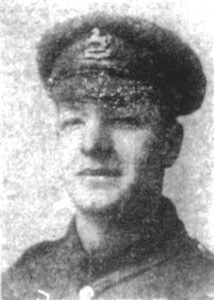 Frank enlisted in 1914, whilst still only seventeen. 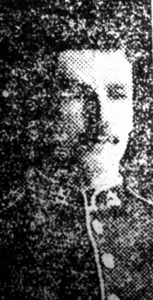 He took part in the Battle of Festubert in May 1915 and his account of his experiences was published in the Crosby Herald on the 29th May 1915. He joined up on August 8th, 1914, at the age of 17 years, and after seven months’ training volunteered for active service, and went to France in March, 1915. 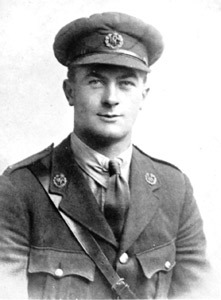 He took part in all the important battles since, and has been buried in trenches several times, slightly gassed, and once struck with a piece of shrapnel, but sustained no serious injury. On September 20th he was killed in action on the Ypres-Menin Road with others of his glorious comrades. His leave should have commenced just before the action, but duty always being his watchword he forfeited leave to fight with his company. He spent his three last birthdays in the trenches, and was 20 years of age. He had three brothers, James, John, and his twin, Thomas, all of whom survived their war service. John died when the S.S. Rhineland was sunk by a mine on the 11th November 1915. As the Rhineland’s captain, he stayed at his post and went down with his ship. He was originally from Glasgow, but had lived in Waterloo for 20 years. This extract from Liverpool’s Scroll of Fame says of Francis: “The circumstances of his death were typical of the man, and of the cool and resourceful courage, high-minded sense of daring, and personal unselfishness that were ever his guiding qualities. It was in the course of the Somme offensive that the tragic incident happened. He went out on his own initiative, in charge of a working party in support of the 1st Black Watch, and on reaching that regiment’s bombing party found them in difficulties.